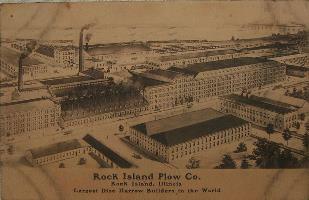 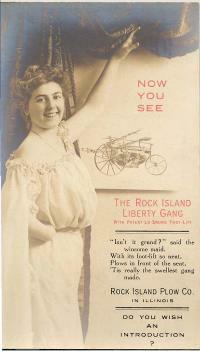 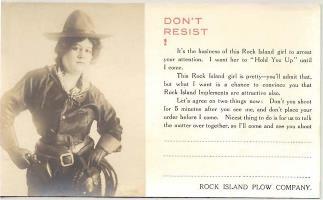 Rock Island was a prolific advertiser until 1929, when they effectively shut down their advertising budget beyond producing a thin catalog. 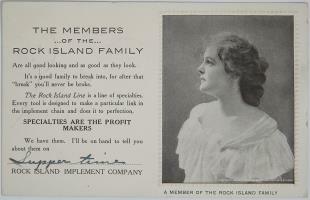 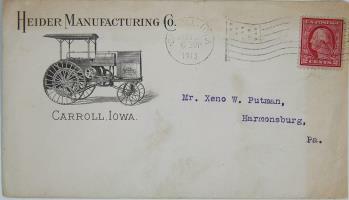 I have split this section into three parts to cover the main paper categories, on this page are a small sample of postcards, envelopes and trade cards; Magazine ads are on page 2 and Catalogs page 3. 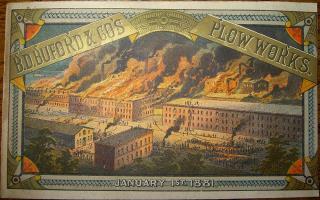 These are not a comprehensive guide to everything produced, and should only be considered examples mostly from my personal collection. 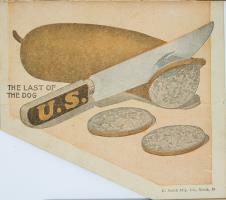 Promotional items and non paper goods are under the Artifacts heading. 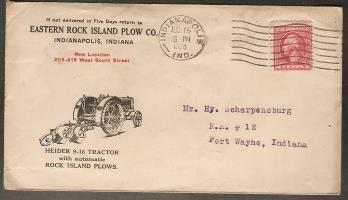 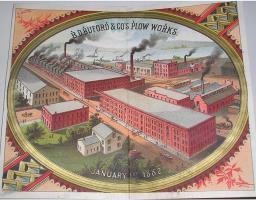 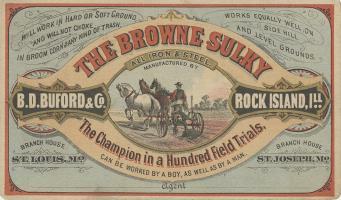 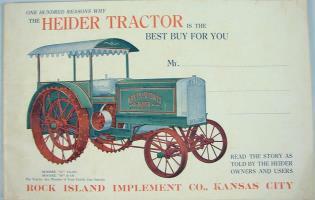 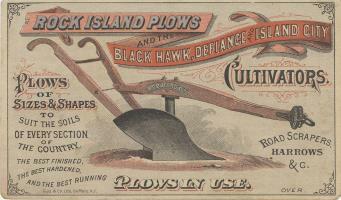 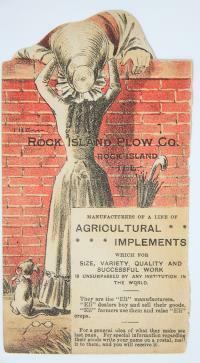 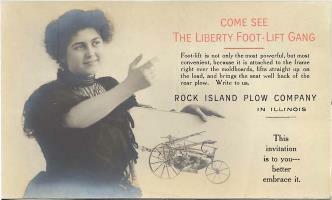 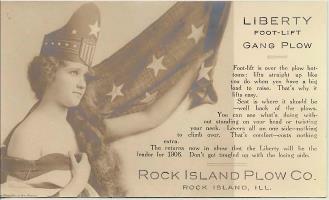 Although humor and romance were common themes of trade cards, The Rock Island Plow Company also featured a strong patriotic message in many of its ads and products. 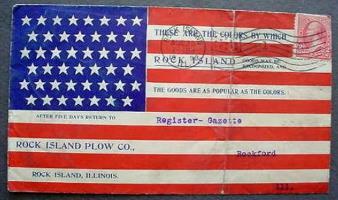 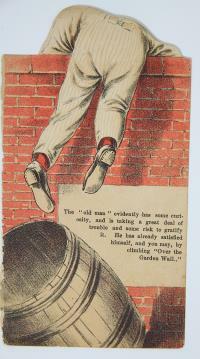 Flags and Liberty were common, while some like the WW1 anti Kaiser card below, combined humor and patriotism.